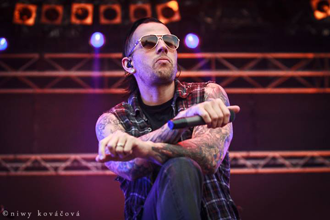 Avenged Sevenfold Live At Nova Rock 2014 – Photo Round-Up. Avenged Sevenfold performed live in Nickelsdorf, Austria at Nova Rock 2014 on June 15th, 2014. Photo galleries from the event can be found here. Please check back regularly for updates. – Avenged Sevenfold’s crowd photo from their set at Nova Rock 2014. – Kurier‘s Avenged Sevenfold live at Nova Rock 2014 photo gallery. – Noise and Novels’ Avenged Sevenfold live at Nova Rock 2014 photo gallery. – RockStation‘s Avenged Sevenfold live at Nova Rock 2014 photo gallery. – Croatian Metal & Rock‘s Avenged Sevenfold live at Nova rock 2014 photo gallery. – Press Play‘s Avenged Sevenfold live at Nova Rock 2014 photo gallery. – Zdenko Hanout‘s Avenged Sevenfold live at Nova Rock 2014 photo gallery. – Markus Wetzlmayr‘s Avenged Sevenfold live at Nova Rock 2014 photo gallery. – Enemy.at‘s Avenged Sevenfold live at Nova Rock 2014 photo gallery. – Festivalrocker‘s Avenged Sevenfold live at Nova Rock 2014 photo gallery. – Indulge Sound‘s Avenged Sevenfold live at Nova Rock 2014 photo gallery. – NoWayOut.at‘s Avenged Sevenfold live at Nova Rock 2014 photo gallery. – Ludwig Gross Photography‘s Avenged Sevenfold live at Nova Rock 2014 photo gallery. ← Avenged Sevenfold Win 'Best International Band' Award At 2014 Metal Hammer Golden Gods. Avenged Sevenfold Win 'Best International Band' Award At 2014 Metal Hammer Golden Gods. What The Media Are Saying About Avenged Sevenfold's Headlining Set At Download Festival 2014.